Energy Robbers! Cut Your Losses! The continuous struggle with indigestible food mixtures and the poisonous products of their bacterial decomposition, sooner or later wears out the body. What are those acid eructations (belchings), which often follow meals of meat and bread, starch and milk, fruit and starch, sugar and starch and other combinations we condemn? 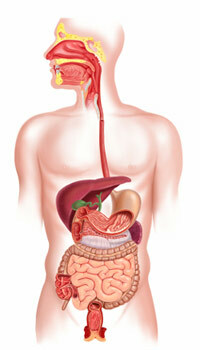 There is gastric distress (heartburn), gas and eructations that cause throat irritation, mucus flow and coughing. The eructations are often so acrid, they cause burning of the throat and nose. Feed these people correctly combined meals (healthy food combinations), and their fermentation with gas and eructations would end. Physicians, and others, who scoff at healthy food-combining would show more intelligence if they were to study the effects of the indigestible mixtures they prescribe, and stop wasting time ridiculing those who are attempting to teach the people sane eating practices. Physicians, druggists, and patent medicine manufacturers are kept busy supplying the demand for drugs to relieve the discomforts that grow out of bad food combinations and weird food combinations. Millions of dollars are spent yearly for alkalizers, laxatives and anti-gas remedies. Tons of Alka Seltzer, Tums, bicarbonate of soda, charcoal, milk of magnesia, syrup pepsin, etc., are swallowed annually by the American public. Physicians prescribe these drugs for the relief of abdominal discomfort. Fermentation and putrefaction is so universal in the digestive tracts of our people that many physiologists and physicians have come to look upon the sub-diaphramatic cesspool as normal. One of the two chief reasons for careful eating is to prevent fermentation and putrefaction of food. One of the greatest causes of gastro-intestinal decomposition is bad food combinations. It is difficult to exaggerate the clinical picture resulting from the reeking decomposition which begins in the stomach and continues in the intestine, as a result of food-mixtures that are all indigestible. The products of bacterial decomposition of food-stuffs are the same when the decomposition occurs in the stomach, as when the food rots outside the body. The putrescence arising in the digestive tract is no less hostile to life and health, than when it arises in a swill barrel. Let us examine the average meal, consumed in the average American home. It consists of bread, meat, potatoes, perhaps a soup or pie, or a dessert of gelatin, or ice cream, or canned or stewed fruit, and one or more green vegetables. There are the usual condiments and sauces, sugar and cream, catsup, mustard, salt, pepper, and milk, tea or coffee. Of course, no digestive system was ever designed to digest such an unholy combination of foods, slops and "relishes." 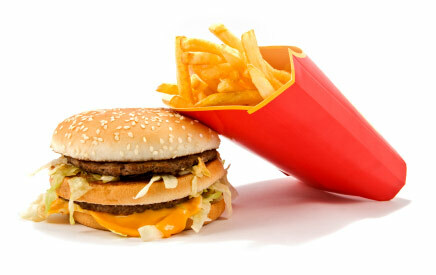 The stomachs of those who eat such meals have been converted into swill barrels and garbage cans. Fermentation and putrefaction are inevitable. Have you ever noticed a garbage barrel? The great variety of substances in it consists of meats, eggs, several kinds of vegetables, fruits and scraps from the table, coffee and other substances. Think of the lot of putrescence that results when it begins to decompose! Now, think of all the putrescence that will develop in your digestive tract, when a similar mixture of food substances undergoes bacterial decomposition. Can you imagine good health resulting from such eating? Do you marvel that people are sick? All the secretions of the digestive tract—saliva, hydrochloric acid, bile, pancreatic juice, intestinal juice—are antiseptic, or bactericidal. Gastric juice possesses an anti-fermentative power to prevent bacterial decomposition in food. The same is true of bile. The hydrochloric acid of the stomach, together with pepsin, the trypsin of the pancreatic juice, and perhaps the intestinal juice, are normally very destructive to germ life, digesting germs as readily as meat or bread. They resist and prevent bacterial decomposition in this garbage, and attempt to digest it. But, complete success in either of these efforts is impossible. Digestion cannot be perfect and bacterial decomposition is, more or less, inevitable. Such eating is better designed to poison, rather than nourish the body. The American breakfast of grapefruit and sugar, followed by baked apples, or stewed fruit or jam, and topped off with coffee and sugar, perhaps eaten in a hurry, is sending millions to the doctor, and ushering many thousands into premature graves. With the discovery of vitamins, the same foolish mistake is being repeated. 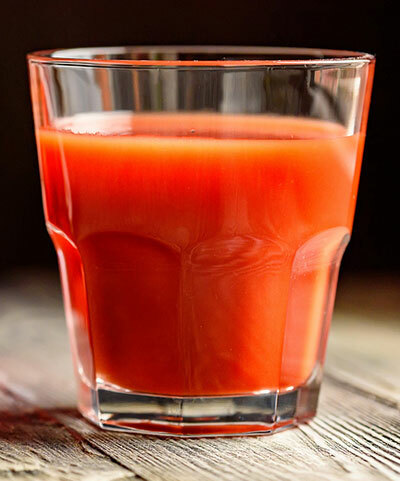 Deficient diets are fed, and then, small quantities of "supposed" vitamin-rich substances—orange juice, tomato juice, cod-liver oil, yeast, etc.—are fed, in a vain endeavor to render such diets adequate. The calorie was a fetish, and the vitamin has become the same. The elder food specialist completely overlooked the important fact that the patient did not secure his calories from the specialist's food, unless he digested and assimilated it. He fed his patients the most incongruous and indigestible mixtures, which set up fermentation and decomposition, completely changing the character of the food, and as completely, altering its relations to the body and its welfare. The present-day food specialist, feeding vitamins instead of calories, makes the same mistake. He feeds his patients abominable mixtures of soup, potatoes, pies or puddings, preserves, ice cream, coffee, or tea, and then, "balances" it up with a teaspoonful of orange juice, or a dose of grease from the cod-liver. Mixtures such as these, and the one previously described, will take on decomposition and turn out such products as carbonic acid gas, alcohol, ammonia, bacterial acids, etc. In order to neutralize, isolate, and eliminate these poisons, the body will be forced to draw upon its precious vital reserves. Not only do such food mixtures not yield up their calories and vitamins to the body in full measure, but they rob it of its reserves. When poisons accumulate in the body beyond its ordinary powers to neutralize and eliminate, its reserves are called upon and expended in freeing the body of the toxins. The sole reason that the great mass of poisons, which arises out of the decomposition of the foods in our digestive tracts, does not result in speedy death, is that, nature has provided us with constitutional reserves with which to resist the recurrent accidents and emergencies of our daily lives. These reserves are especially intended to meet the needs of old age, when the forces of life are feeble, and the self-regenerative powers of the body are impaired. If the body's reserves are carefully hoarded, they will carry us well beyond the hundred-year mark with youthful enthusiasm and zest. Their depletion is one of the most common calamities of modern life. The alkaloids and alcohols, with which gastro-intestinal decomposition charges our bodies, rob us of our reserves, greatly weaken our vital resistance and, sooner or later, produce a state of physiological collapse. We permit the silent, continuous leakage of our vital reserves, until we are brought below the line of safety. Our powers of repair and restitution are bankrupted, and we are unable to "come back." If the average American would apply healthy food combining principles in their diet, not only would they practice proper food combinations for weightloss and proper food combinations that burn fat, they would also enjoy renewed energy, indigestion relief and improved health.